Tonight I’ll be making a special meal for us to eat, shrimp tempura! Mmmm! 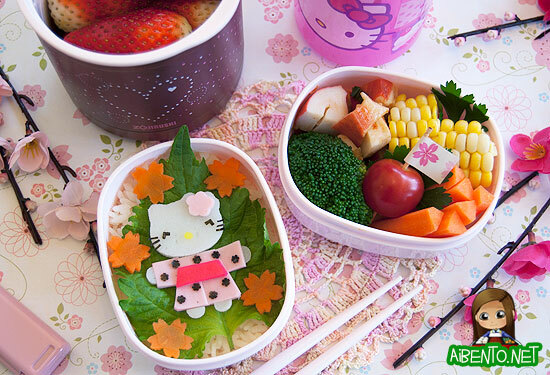 Today I made a Girl’s Day bento with Hello Kitty in a pink kimono, surrounded by carrot sakura blossoms. I packed it in my Girl’s Day gift to myself, that totally snazzy Zojirushi purse bento box (Update: this is now sold out! Pink still available.) from J-List. Although I have some really great boxes in my massive collection, including three other Zojirushi thermal sets, but this one with the bag takes the cake. I mean, seriously, it comes with a freaking purse! I rode my bike with it hanging from my arm. It’s got an adorable pink bead charm on it and heart zipper tassles. 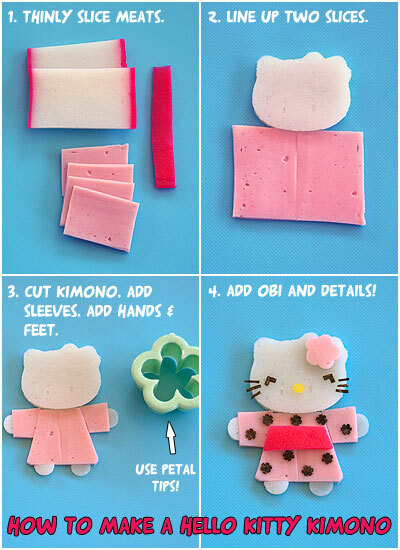 I cut out her head with one of my Hello Kitty vegetable cutters. Every bento shopping store I looked at last night doesn’t have this in stock, but I did find one on eBay. The little green flower cutter I used for her hands and feet is from this Wilton Floral Cutter Set . I used fish sausage for the light pink stuff and kamaboko for the white and bright pink parts. Her face and kimono pattern are cut from nori and her nose made from takuan cut with a coffee straw. For her eyes and kimono flowers, I used my Emoji punch. I’ve seen this at Marukai Ward, but everywhere online looks to be out of stock. I put in about 3/4 cup of white rice in one container, and then topped it with a fresh shiso leaf that I picked from my shiso plant in the garden. 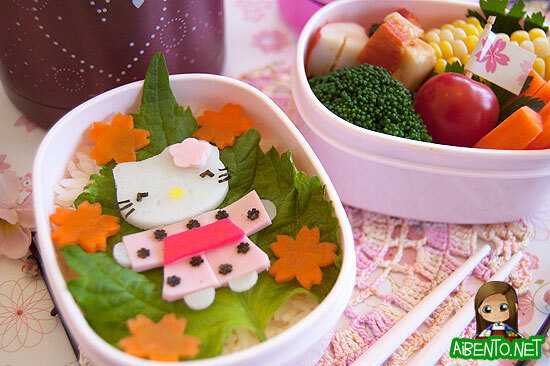 This is SO much better than buying a pack of shiso leaves and finding it in the back of my fridge a month later… I put Hello Kitty on top and then added sakura carrot slices around her.